When Adriana Marcil & her husband Adriano Rachid Marcil decided to buy what would be their first home in Los Angeles together, they were still living in Europe and depended on the internet to help their search. When they found "the one" in Rancho Palos Verdes, it was the location, outdoor space, and natural beauty that had lured them in. But it was the possibilities of what could be that truly won them over. At $1.7 million asking, the price was not the usual range that people look for to remodel an old-fashioned, quirky mid-century home. But Marcil blames her intuition and impulse for taking the leap. Two years later, and she's glad she did. "The house was on the market for about six months when I found it on RedFin," says Marcil. "A lot of people just couldn't imagine what you could do with it." The 6 bedroom, 3 bath home is tucked neatly into an inconspicuous dead-end street in the Miraleste zone of Palos Verdes. With a top of the mountain view and wild peacocks and fruit trees as part of their natural surroundings, the Marcils had much to start working with. They started their remodeling a year and a half ago with wall demolitions, new customs kitchen cabinets, skylights, and landscaping. Instead of renting a space while the remodeling took place, the Marcils decided to stick it out and stay throughout the process. In fact, they are still living amide the construction, which is expected to be finished at the end of June. "We really took our time and wanted to honor the original style," she says. "One way we did this is by designing our custom kitchen cabinets to look almost exactly like the older, but termite infested originals." Despite the already rewarding end result of this $500,000 remodel, one of the biggest challenges has been to live on the property while remodeling. "The best thing about living on site is that you end up having more control and a chance to influence steps along the way," explains Marcil. "Even when you give instructions at the beginning of the day, what they do with the instructions may be different than what you imagined or wanted." Patience! Patience! Patience! Patience to the maximum! By being available at all times gives the contractor or construction worker the idea that you are actually available all the times. It opens the opportunity for anyone to pop in to ask you anything at any given time of the day. Sometimes it's as simple as whether you want something installed an inch up or down. It's important to work through this process with patience and understand that even though living in your home during construction gives you more control, you will also lose some of your privacy. So take a deep breath and... patience! Set Limits and Be Clear: Expressing the hours of the day that you’re available is key. For example “I’m available from 12-4 for questions every day unless it's an emergency” is something you can make clear to the workers. “It took us a few months to figure that out,” says Marcil. 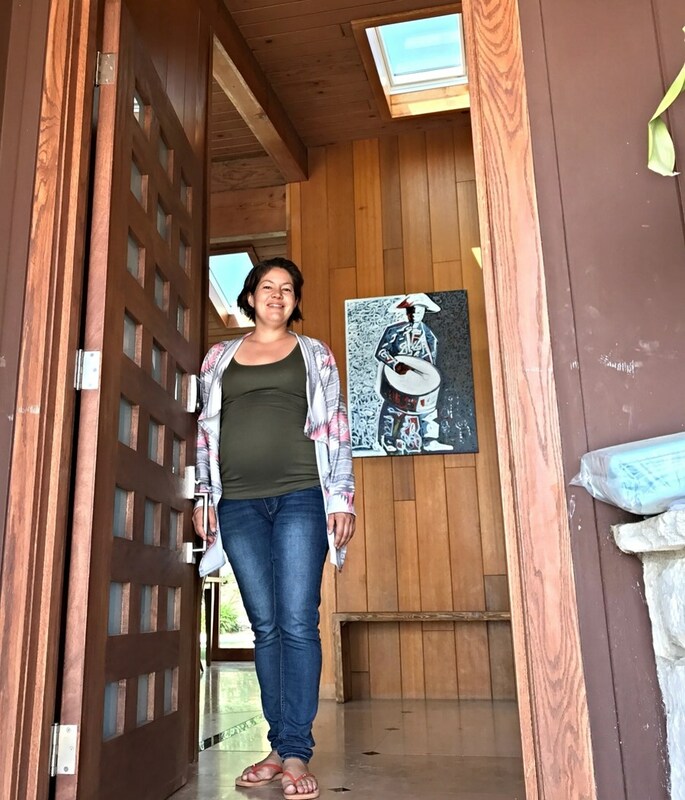 “You have to know how to communicate clearly and effectively and put limits otherwise you become a slave to construction.” She adds that learning this point ultimately led them to making the decision to let go of the contractor after a few months. Had they not set limits, their project would have cost them a lot more time and money.